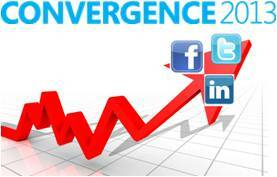 Jon Rivers of Data Masons is doing a multi-part series “Convergence Climbs the Social Ladder” featuring the views of the official Microsoft-appointed Convergence bloggers. I got a chance to participate this year as one of those bloggers, so thought I’d share Jon’s article with you, especially since he interviews me in this article! Make sure to check out the rest of the series, where he’s interviewed (so far) Microsoft MVPs Gus Gonzalez, Belinda Allen, and Joris de Gruyter. follow the link to see the interview . . .